David Blockley is Emeritus Professor of Civil Engineering and Senior Research Fellow at the University of Bristol. 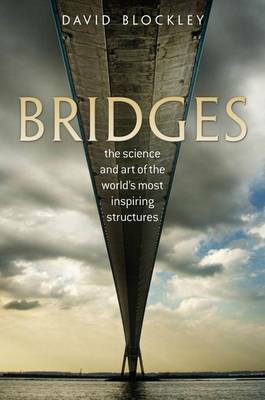 His new book, Bridges: The Science and Art of the World’s Most Inspiring Structures, he explains how to read a bridge – its unique design and construction, and the way the forces flow through its arches, beams, or cables. It is also a celebration of the spectacular human achievement that has gone into bridges and therefore our living environment. It is the human aspect that Professor Blockley concentrates on in the below post, where he argues that the political world could learn a great deal from bridge-building. Physical bridges like the magnificent Sydney Harbour Bridge, or the wonderful Millau Viaduct in France, are built by people for people. To do that the bridge builders must form teams to accomplish difficult tasks. Teams work best when relationships are good. Relationships connect people so we can call them people bridges. I suspect whether you think Jack Lang’s vision has been achieved will depend on who you are and where you live, but the aspiration for the world is as strong now as it was then because the most difficult people bridges are those between racial and religious communities. Physical bridges need three things; firm foundations, strong structure and effective working – so do people bridges. The better you understand something the more you appreciate it. Even if you aren’t an expert or technically qualified you can learn to read a physical bridge like a book – in other words understand the flow of forces. The firm foundations of people bridges must include an agreed set of ground rules – like not killing each other. The golden rule of most of the world’s religions ‘don’t do to others that you would not have them do to you’ is a good starting point. We should require our world leaders to negotiate such a ground rule with extremists. That is not to underestimate the difficulty of doing that. However, as Winston Churchill said, ‘To jaw-jaw is always better than to war-war’; just as a bridge fails with weak foundations so will a war on terrorism. The weakness in the ground may be in the subsoil – the weakness in the war on terror is in differing perceptions on the value of human life. There will be no long-term peace until there is some accommodation in the foundations – some agreement about common purpose. Then we can begin to set up strong structures supporting political processes and governance and people will begin to work together effectively. Even if we aren’t experts we need to get better at understanding how to read people bridges like a book – to better appreciate the flow of change. One thing is for sure, violence distracts from what should be our major purpose – climate change. It is the biggest issue we human have ever faced together. The slogan ‘Save the Planet’ is the most misleading ever. The planet will survive—the question is whether the human race will. I would argue that the basic tenets of bridge building has much to offer. Prof. Blockley’s post on the human aspect of bridge building is most insightful. Like physical bridges, human relationships need the three things mentioned to withstand the forces within and without.